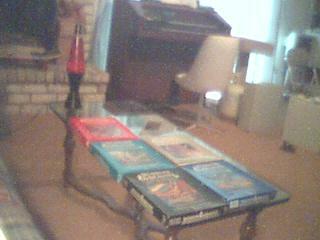 I got the first box, the red one, as a Xmas gift when I was in 3rd grade. Although I never actually played D&D with anyone other than my sister, I spent countless hours designing maps, reading through the books, writing computer games based on it, using these boxes as reference material. Not sure if it has any real value or not, checking ebay shows only auctions getting about what I paid for it in the first place, so I'll probably just keep them for nostolgic purposes.